The lack of integrity of the “representative” politicians “we” elect now is intrinsic. The process itself creates the lack of integrity. Politics is intrinsically about multiple, fractured personalities, saying, and superficially doing, whatever people (have been made to believe they) want. Integrity means in one piece. Namely one has just one personality, one character, one psychology, one system of mind, one system of thought, one system of emotion. Practically, the emotions one exhibits are exactly those one has. Whereas the essence of the modern politician is to present a public persona that can be sold, and has nothing to do with who they truly are, what they truly believe, what motivates them. 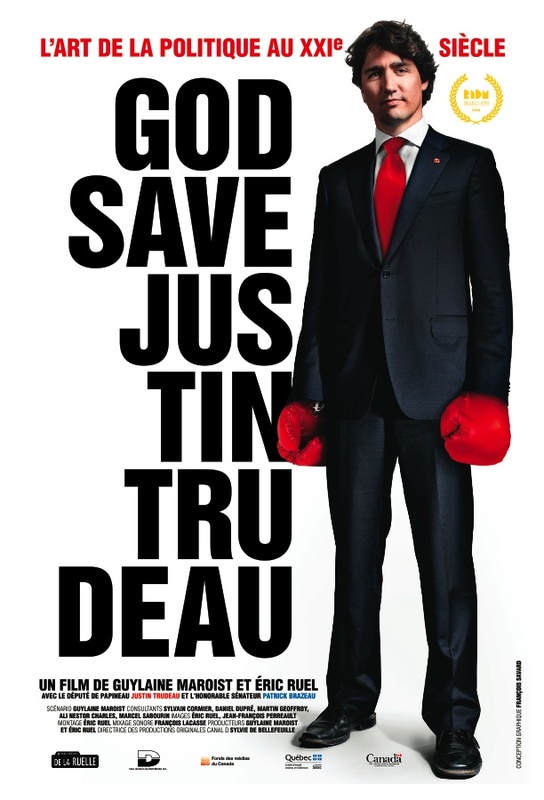 I of course supports many of the aims of Justin Trudeau, the new Canadian PM. Yet, being led by a New Man, son of the Old Man (and thus, not at all a New Man, in the Roman sense of the term!) is no real progress. Canada fell deep in the abyss. Seeing the light again, after falling in the abyss, does not a paradise make. The ecological policies of high CO2 emission countries (Australia, Canada, USA) are nothing short of criminal on the largest imaginable scale, that of melting icecaps. Analogies have long been made between humans and wolves (Homo homini lupus: man is a wolf for man… and reciprocally, added the French comic Coluche). Another tendency is believe dogs are, somehow, a “species” we could emulate. Yet, dogs are not really a species. Dogs gives a false impression: we don’t know how stable dogs are, as a species. After all, dogs are the product of artificial selection. In the wild, dogs can be very nasty. I knew some geologists who got attacked, in Iran, by four wild dogs (domesticated doggies returned to the wilds). The geologists had to kill them one by one, with geological hammers, to not finish as canine dinner. Dogs come from European wolves. American wolves have been studied in the wild, especially in Yellowstone (because scientists wanted to study the ecological impact of their return, which turned out to be considerable). The “alpha” position is stable, until the next mayhem. Researchers were aghast to find the alpha female they beloved dying of her wounds in a ditch, after she had been replaced from her previous executive position. In many primates, it is true that leadership tends to be hereditary (through moms’ influences). Comparing wolves and advanced primates help us guess that human are ethologically made for rather pacific, democratic, leadership. This conclusion is accentuated by recent research on baboons: decisions where to forage tend to be taken by “initiators” (who are not particularly “alpha”), It is also implied by the small sexual dimorphism in the human species. This is all important, because it means our present political system, which is more similar to lupine society, is not adapted to our genetic heritage. The latter did not arise just by happenstance, either. It is a consequence of the rise of intelligence. We became democratic, because we needed that, collective thinking and debate, to become more intelligent. Thus present world political organization is evil in the deepest sense, and contradicts human nature, also in the deepest sense. We truly are imposed EVIL RULE (Pluto Cracy) not the rule of conversation, debate and thinking, the essence of humanity. As a a noun integrity came to mean, “adherence to moral and ethical principles; soundness of moral character; honesty.” This interpretation is derivative from the original sense, literally un-touched. That came then to mean both “whole” (entier in French), and integer (also entier in French). The original meaning is important to understand that the essence of immorality has long been perceived to be double faced, or worse. How to gat out of all this? New men are nothing, but more of the same old crime. We have to call upon a new process, DIRECT DEMOCRACY. Geeks swimming in their new noise, claim the Internet will change everything. No, it does not. Not yet. It will, when people can directly DEBATE, and vote, in plebiscites, using the Internet. As the noun indicates, plebiscites, when the plebs directly voted, were already known in Republican Rome. But they were hard to organize, just as they were hard to organize in democratic Athens (where they were required). The average Athenian farmer needed a day trip to get to the Athenian Assembly. Now the Internet will allow us to vote with a simple click. And what of the excess of Athens’ National Assembly of the People? Just youthful troubles: similar troubles did not happen during the centuries of Republican rule in Rome. Moreover, we presently have huge political structures full of professional politicians. They will not disappear overnight. Just as in Switzerland now, they will persist, giving us plenty of safety during the transition from the dictates of the oligarchs, to the People Rule (Demo Cracy). IS STUPIDITY A SAPIENS THING? Indeed the original question, why did Neanderthals go extinct? is itself in the process of going extinct. As I tried to explain in “Mathematics “Extinguished” Neanderthals”, Neanderthals probably did not go extinct. They were too superior, to just disappear. Instead they genetically consolidated in a more economic format… The one they came from! My reasoning in “Maths “Extinguished…”rests mainly on two ideas: a) the advancement of technology made most of Neanderthals’ cold adapted mutations irrelevant, and a burden. And: b) a subtle thinning-out from periodic near-extinctions of genetic traits related to more bulky individuals. So it’s not just tech, but a very varying climate, that thinned out Neanderthalian traits. …”these past few years, my research group and I have worked to sequence the genome of a Neanderthal, the closest evolutionary relative of all present-day humans. We have also sequenced a genome from a small bone excavated in a Russian cave close to the border with China; this genome came from a previously unknown Asian relative of the Neanderthals — a group that we call the Denisovans. Please meditate this, the conclusion of genetics studies: “…some people living today are closer to the Neanderthals than to other people.” What a shattering notion! Paabo’s work as been confirmed independently by other research groups. There are too many surprises to list them all. Some researchers found that the highest density of Neanderthals mutations in… North Africa. North Africans are a type of Europeans, genetically speaking; in 2014 Neanderthal mutations were found all the way to ancient South African population!… And the whole situation became extremely complicated. For example Denisovans’ genetics were found in Spain. However, so far absolutely no Denisovan skeleton has been found: they constitute a genome in search of a body! Paabo should know better than writing this. Some of the first genomic studies on Neanderthals found them quite far, genetically from modern humans. Then more recent Homo Sapiens Sapiens’ genomes were analyzed and found… just as far. I appreciate the professor’s work. However the sentence: “although Neanderthals… controlled fire, they never developed the technology and culture to multiply and spread across the planet as modern humans did,” struck me as unwarranted, if not downright racist to the point of complete stupidity. With all due respect, of course: Paabo himself gave us some of the weapons to squash his prejudice! “Modern humans” of today have a different genome from “modern humans” of yesterday: whoever “spread across the planet”, why and how, is not too clear. Neanderthals were adapted to a very cold climate. So they thrived in North Africa, but it’s not surprising that they did not get south. Meanwhile, as Neanderthals had invented pants, African Sapiens could spread into Europe (supposing that technology was transferred to them). Paleontologist Zilhão found evidence demonstrating that Neanderthals in Europe were neither cognitively inferior nor less creative than Homo SS in Africa. 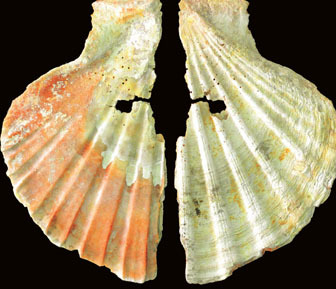 In 2010, he reported that a cache of painted marine shells on the Iberian Peninsula was made by Neanderthals (the photography at the top of the essay is of some of these shells; the hole indicates that they were worn as jewelry; thread had been invented by Neanderthals at least 30,000 years prior). These shells were dated to 50,000 years ago, about 10,000 years before Cro-Magnon (viewed as Homo SS) appeared in Europe. These 50,000 year old shells were used by Neanderthals to produce body paint. To do so, preceding 19C chemistry by a full 50,000 years, Neanderthals used chemical reactions. Previously unknown Neanderthal technologies are found every year. Neanderthals invented needle and thread, way back (80,000 years ago, at least; probably much older). Necessity was the mother of invention: Europeans (aka Neanderthals) needed clothing more than Africans did, as the later wore none. Moreover, appropriate fibers are more easily found in the temperate zone (everything rots quickly in the very warm, wet tropics, including DNA). Some of the arguments against Neanderthals have been outright ridiculous: not only we were told, without any evidence, that they could not talk, but that the superiority of Africans came from eating shell fish, about 70,000 years ago (along the East Coast of Africa). However, it has since been discovered that Neanderthal cavemen supped on shellfish on the Costa del Sol 150,000 years ago, punching another torpedo hole in the theory that only Africans ate (supposedly) brain-boosting seafood. 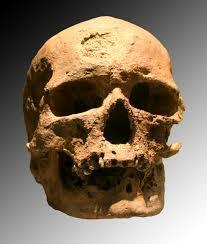 Neanderthals also used coal, as long ago as 73,000 years. Once again, making a fire in present day France, then suffering from a pretty bad glaciation, made more sense than trying to stay warm in the Congo. Neanderthals also domesticated, and genetically engineered dogs, from European wolves. That’s very clear. How do I know this? Simple. The Goyet dog, pictured below was dated around 32,000 years. In 2010, and an even older dog was found in the Altai mountains. 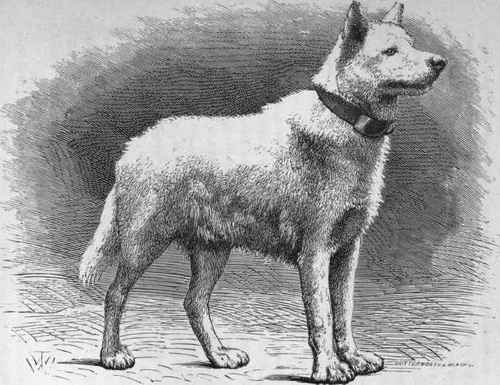 Both dogs were derived from Canis Lupus Familiaris, the European wolf, but were quite distant from it, genetically, they had been evolved probably on a time scale of more than 10,000 years, thus well before any arrival of Sapiens Sapiens from Africa. It is perplexing that other human groups did not domesticate the local canids. There are (still!) wolves in Africa and India. And also Lycaons (“African Wild Dogs”). Those are supremely intelligent, and sort of domesticate readily in the wild (I tried this myself as a child). The argument that Africans would have moved to Europe to domesticate European wolves, when they had a similar fauna, including wolves, to domesticate in Africa, is simply extravagant. The only group in Europe at the right time and place to have made the jewelry and tools attributed to early Aurignacian culture is the Neanderthals. 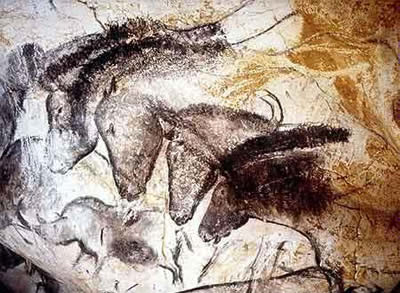 It would seem that the oldest cave paintings, dated at 41,000 years or more, were made by Neanderthals (they are in Spain, a Neanderthal fortress, and, at the time, Sapiens Sapiens were just entering Europe, far away). Equipped with advanced weapons, Neanderthals started modifying the environment (for example extinguishing Cave Bears). At that point, the advancement of technology made their cold adapted mutations irrelevant, and a burden. The argument is always made that the technological explosion in the Aurignacian happened because of the invasion by Homo Sapiens Sapiens. Why? Because Homo SS was superiorly intelligent. How do we know that? Because as it came in, there was a technological and artistic explosion. Some scientists ought to be taught elementary logic. In my train of explanation, all these phenomena, tech explosion, Homo SS invasion and Homo Neandertalensis transmogrification are related. Related by what? The tech explosion. As I pointed out, the Tasmanians, who were as much Homo Sapiens Sapiens as their relatives in Australia, degenerated to technological level that would have driven them to extinction pretty much anywhere else, especially in Europe (Europe was crawling with megafauna: super lions (Cave Lions), Cave Bears, Mammoths, Rhinoceroses, ton and a half Aurochs, hyenas, etc. Bulk may have put them at a disadvantage relative to more frail forms of Homo Sapiens (Homo Heidelbergis, ancestor to Neanderthals was massive: 100 kilograms). Presto, especially in a varying climate, they may have reverted to their common inheritance. Want one more proof of my little theory? The race that replaced the Neanderthals were the Cro-Magnon (“Big Cave” in the local, pre-Celtic Basque language). The Cro-Magnons did not look particularly “human”: they had rectangular orbits. But then they were less massive than Neanderthals (thus allowing part of my reproductive argument against Neanderthal physiology to come into play!). This is “Modern” Man, Cro-Magnon. Perpetual Sun Glasses? The lighter form of being of Homo SS is an important point of my Neanderthals-traits out-breeding theory. But there are other points, including that the genetic adaptation of Neanderthals that were not advantageous anymore (thanks to technology) would tend to disappear… Whereas those that are still advantageous would thrive. This exactly what the geneticists such as Paabo are finding. Examples: Neanderthal adaptations tend to dominate for skin. Paabo and others found some Neanderthal adaptations are still gaining, whereas others are still regressing. We are far from having a complete picture of the situation. However, whereas Paabo expects the Neanderthal to be inferior from the epistemological point of view, I expect the exact opposite. Not just because of what they did, but because they had to do it (to live where they did). I even expect a strong cultural hereditability of paying attention to the essence of man. A cultural heredity of the metaprinciple that the supremacy of culture is essential to man, thriving to this day, coming straight from Neanderthals. How did I explain the Tasmanian devolution? As a cultural phenomenon. At some point, Tasmanians got possessed by the wrong metaprinciples. They drove their culture into the ground. Anti-intellectualism got a life of its own (remember Turkey, outlawing the printing press: same idea). The opposite can happen: intellectualism, the essence of Homo, can be revered. Superior principles can help create, in turn a succession of superior cultures (as observed in Western Europe, something Putin ought to meditate, if he could meditate). Arguably all the way up to the late Neolithic Europe had kept some tech edge: the frozen solid individual found at the border of Austria and Italy was carrying antibiotics. The argument of Jared Diamond that Eurasians became as superior as they became because they had all these nice plants and animals is another circular argument: these plants and animals, all of them, had been invented by said Eurasians, from almond trees, to wheat, beans, and even cats (to kill grain eating rodents). Thus it is entirely possible that the habit of maximal tech superiority, after allowing Neanderthals to thrive for hundreds of thousands of years, carry in to this day. The International Thermonuclear Experimental reactor is fully close to where Neanderthals experimented with coal at least 73,000 years ago. It’s a tradition, to invent ways of making nature serve Homo, probably revered there, more than anywhere else. It was just found out that, generations (of deer!) after the triple lethal electric fence system of the “Iron Curtain” was removed, local deer still teach their young to respect the border between Germany and the Czech Republic (although as both are in Schengen, the physical border has been gone for generations. So if culture is that strong among rather stupid deer, imagine what it is among men! Paradoxically, culture allows men to become more stupid than even deer, and for much longer (see Putin and his followers getting their minds from Ivan IV, the Terrible). In the USA, apparently correct descriptions of the Crater Lake volcano explosion, in which the upper mile of the Mazama volcano blew up, leaving a deep caldera, were still made by the local inhabitants. 7,700 years later. Even if they were simple Neanderthals.